CAROUSELL, one of Singapore’s startup success stories, has raised a US$35 million Series B round, which it plans to use to expand outwards from Singapore and amp up product development. The shopping app is a consumer-to-consumer marketplace which was founded four years ago by Lucas Ngoo, Marcus Tan, and Siu Sui Quek – this round of funding is one of the largest Series B rounds for a Singaporean startup. According to TechCrunch, existing investor Rakuten Ventures led the round of funding, joined by Sequoia, Golden Gates Ventures, and 500 Startups. Carousell is popular in Southeast Asia, where it is available in 13 cities, and says it has 35 million listings, with 70 new listings being added per minute. The company also claimed that users spend an average of 17 minutes inside its app. TechCrunch previously reported that Carousell was looking to raise up to US$50 million in their Series B round, after securing US$6 million in 2014 Series A round. Prior to that, they raised US$1 million in seed investment. 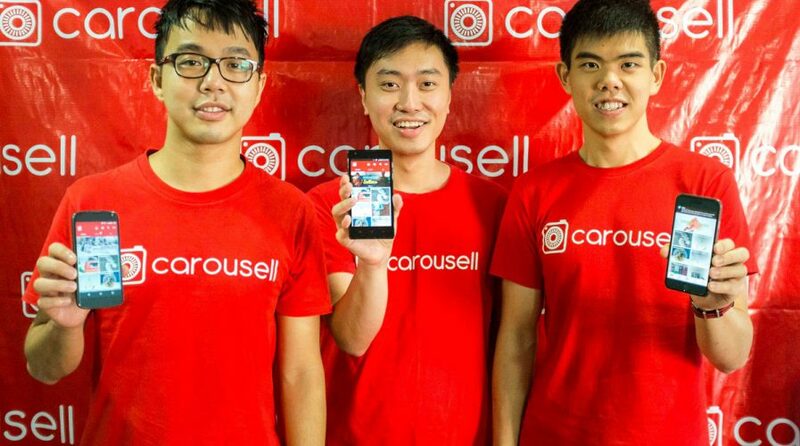 To date, Carousell has received about US$41.8 million in funding. The C2C app has been making some major strides this year. JJ Chai, who used to run accommodation booking app Airbnb’s Southeast Asia operations, joined Carousell this year to manage its international expansion plans.